Well here I am reviewing where I am ranking for the keyword phrase internet network marketing. I am not liking what I have found. I take full responsibility for letting my rank slip through the cracks. To be honest with you, I realize that the keyword phrase doesn’t get a lot of traffic. However it is a very competitive phrase. More than likely it’s because it really is targeted to the person who wants network marketing success. The sad truth is I actually was on the first page for a very long time for this particular keyword phrase. Then once google decided to change their algorithms all mayhem broke loose. I watched my rank drop every so slowly…. So where Am I Ranking Right Now For Internet Network Marketing? 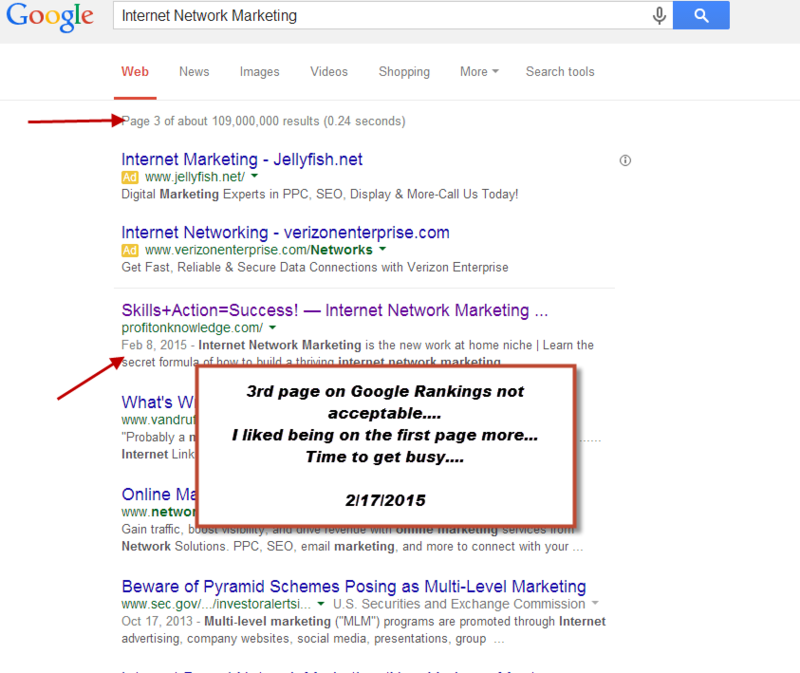 I am pretty far down in rankings for the keyword phrase internet network marketing. The question on my mind and maybe yours too, is can I actually get back to the first page for this phrase. I really don’t have an answer for this yet as the competition looks pretty fierce. However I love a challenge. I just recently got back to the first page on another blog for a keyword that I wanted. I am going to try the same methods I used on that blog with this blog. What Does Any Of This Matter Have To Do With You? Good question one that deserves an answer. For starters the point of this blog is to help people with internet network marketing. A lot of people online are pushing their online network marketing businesses the wrong way. Seriously, most people who are “trying” to make money in this industry are doing it totally wrong. Their focus is trying to pitch their products when their focus should be creating a powerful message that other people can get behind. Internet network marketing isn’t about products it’s about people. I got so good at doing this type of online network marketing that I haven’t actively promoted my main company in over 2 years and I am still collecting residual income from it. Imagine that? The funny thing, is I say my main company or primary business. However it’s really not my business I am just an affiliate to the company and that my friends is why in internet network marketing you are always reinventing yourself. A good internet marketer is always learning better ways to improve what they do. I gravitated towards this industry because I knew I would be able to leverage the freedom it provided to focus on other areas of my life. Which is exactly what I have been doing since May 2014. I stepped out of my own comfort zone and started my own online business. My passion as always been martial arts since I was a child. 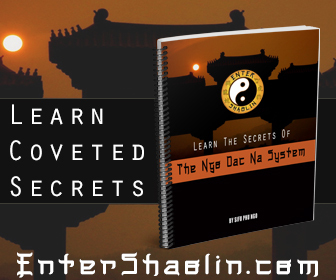 Now because of the skills I have learned because of these network marketing companies and because of the skills you need to learn to be a good internet marketer I have been able to create a unique online kung fu lesson site. If there is one consistent message I said since day 1 is blogging is the way to the promise land so to speak. Blogging allows you to have your own personal space and it’s blogging that you need to do if you want to separate yourself from other people in the internet network marketing world. I am going to have start working on deep linking my blog post better. The next step is I am going to have to spend some time leaving quality comments on some cool and influential bloggers. There is a method to my madness I tell you!!!!!! The whole point of this post is to let you and the world know I am back. 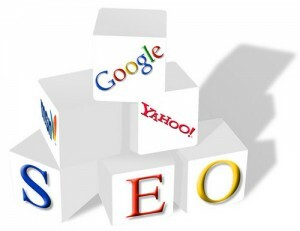 Right now I am curious if I can reclaim my position in google simply by writing good content. 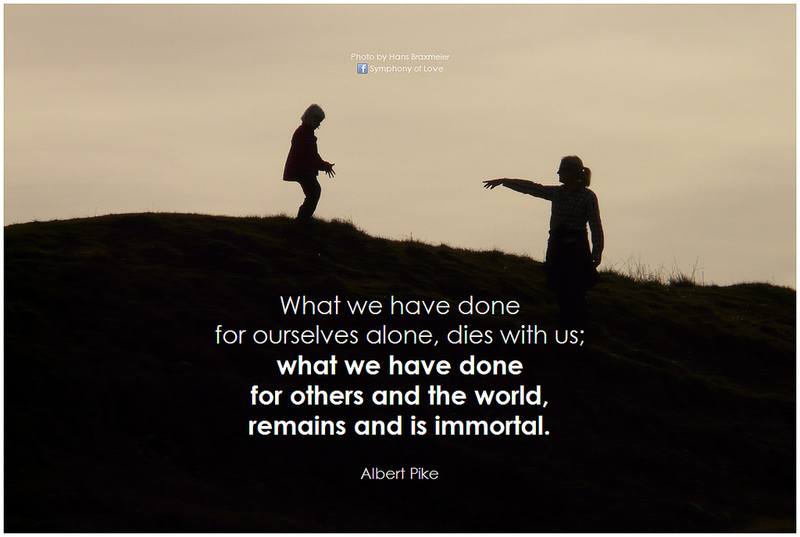 So who is internet network marketing for? I’ve thought about this for years now. The type of person who would do go in this industry is a person who takes action. Someone who actually does what they say they are going to do. Someone who doesn’t look at things at how much things cost. Rather they see what they can gain by being involved with something. I am not focused on what this blog looks like, because I want you to know even an ugly blog can produce massive results. That’s assuming you know why you are blogging. So there is ton’s I want to share with you, but before I do I figure the first step is to get back to the first page for my choice keyword phrase. After all why listen to me if I can produce the results I claim I can produce right? I doubt that publishing new content has any relation with ranking. Though it will help in internal linking, but its impact on your main keyword ranking would be negligible. If you see your competitors for that keyword you will find that only few main domains are ranking, rest are the sub-pages of domain, that means you have better chances to rank again. Also, Wikipedia is on 10th position which means there is even less competition. Its almost impossible to compete with Wikipedia. Your site must have lost some quality backlinks so it lost its ranking. Hope, commenting will do the trick for you! Hey Worli, that’s not the only ammo I am using… There are few more things up my sleeve that I will reveal over the next few post.. I already started climbing back up. Time will tell the tale of course. Glad to know about the progress and also glad to hear that you have a strategy as well. Hope it will work as you planned. I find particularly difficult to reflect changes to a business model (e.g. new services) in your marketing message without loosing the interest of your community. The change must be done progressively in order for the audience to understand the change. Well Larry, whatever it is you wish to reveal on your next post am also interested in knowing it. And may i say that i find it interesting that you attached the profiles of your followers, as some sort of a backlink, i think it’s a great move.